CSN have completed several jobs for us and have found the guys to be consistently professional and their workmanship to be of high quality and on time. Christian is always clear on timelines and keeps us informed with regular updates on the project. Everyone who has been on site have been polite, courteous and tidy, including any subcontractors used. CSN is our first choice for future projects and I would highly recommend them to others. I am writing this small testimonial to the workmanship of CSN Constructions. They have carried out two projects at my property and both projects are of exceptional quality. CSN Constructions laid the timber flooring to the entire top floor of my house and also built a back yard deck and as stated both works were completed with no problems at all and of top quality. I would seriously recommend CSN Constructions to any prospective client. CSN Constructions provided us with an outstanding service. The quality of the craftsmanship and attention to detail exceeded our expectations and Christian provided a reliable and professional service. We would highly recommend CSN Constructions. CSN Constructions rectified a major flooding issue we had in an old terrace home caused by poor drainage. Christian came and investigated the issue on short notice and advised what the process would be in order fix the issue. He and his team started when they said they would and were finished in less time than expected. The surrounding building area was left in far better condition than when they started and the trouble spot has survived torrential rain since. I wanted to do some of the prep work myself and he was always polite and helpful when I hassled him with questions. Can't ask for much more. 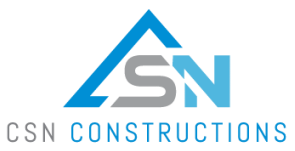 I have no issues recommending CSN Construction and would certainly look to use them again should the need arise (although hopefully no time soon)." I have pleasure in recommending CSN constructions. Christian was a lead carpenter/builder for another company around 4 years ago and largely managed the day to day re-construction of our 2 storey granny flat. We were particularly impressed with Christian's craftsmanship, meticulous nature and attention to detail. He also has a very personable nature and is very communicative. Impressed with his previous work we now have Christian back (through his own company CSN) for a more substantial renovation of our main house. The same things that impressed us then about Christian - are still evident now. Christian and his team at CSN are professional, organised, communicative and highly skilled and I would definitely recommend CSN for any project - large or small.